** UPDATE: The kids’ project was selected to be on display at the TIFF Digiplayspace on April 18th! STEAMLabs, a Toronto-based non-profit dedicated to teaching people of all ages how to work with high tech equipment, has completed its first successful project using the Internet of Things teaching kit they developed with funding from CIRA, the Canadian Internet Registration Society. 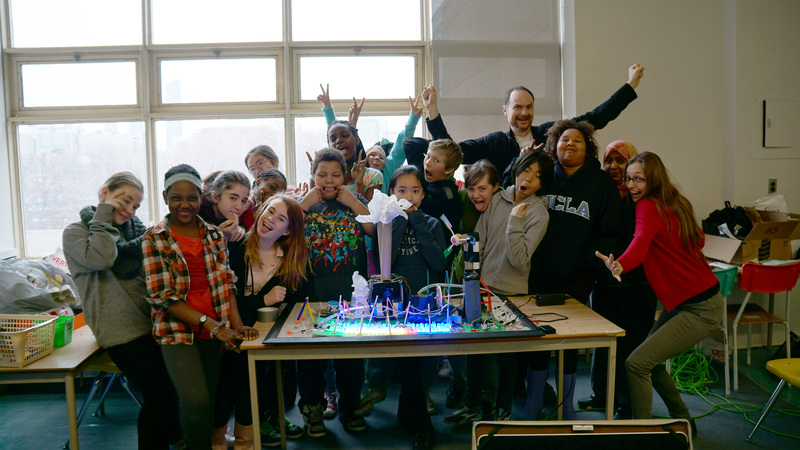 The project, done with a class of sixth graders at a local school, got kids to build an interactive model of Ontario’s power system. It pulls live power generation data through its wifi connection, and displays the current mix of generation sources using an LED display lighting up 3D printed buildings. A web interface explains more, and allows the visitor to change the display to show other days. 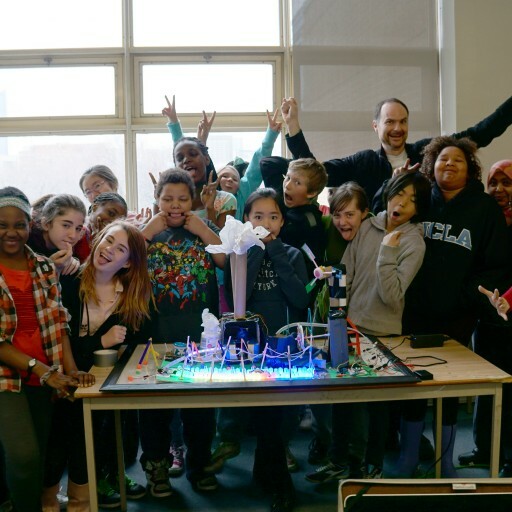 The not-for-profit organisation STEAMLabs has run a kids makerspace in Toronto’s Roncesvalles neighbourhood since it was founded in 2012. Thousands of kids have participated in STEAMLabs programs to learn how to build and code Arduino robots, make their own video games, 3D design and 3D print and do all kinds of other high tech making! STEAMLabs is opening a new Makerspace in downtown Toronto this summer, which will host a number of tech-focused summer camps and year-round after school programs. They are currently running a Kickstarter to fill their new Makerspace with high tech equipment.